It has been a great few months here at the JFR! We have been fortunate enough to celebrate milestone birthdays with many of our rescuers. In this posting, we’d like to highlight the birthdays of two of those rescuers: Knud Dyby and Frieda Adam. 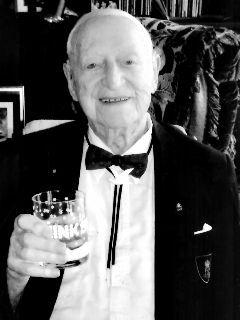 This March, Knud Dyby, a Danish rescuer who lives in California, celebrated his 95th birthday. Knud’s family and friends recently threw a birthday party for him to celebrate this milestone. Knud has been a loyal friend of the JFR for years, and he even asked his friends and family to make donations to the JFR in lieu of birthday gifts. Thank you, Knud, for your generosity! Visit our website to read Knud’s story of rescue. Frieda Adam, a German rescuer from Berlin, turned 91 years old this May. 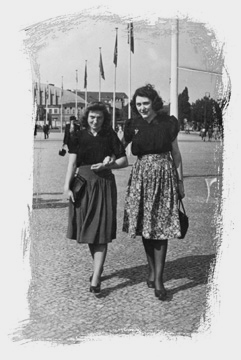 Frieda still lives in the same home in Berlin where she hid her Jewish friend Erna and Erna’s brother from 1942 to 1944. I’ve had the pleasure of seeing Frieda every other summer during the JFR’s European Study Program in Germany and Poland. While in Berlin, the participants and I attend Shabbat services and then meet Frieda for dinner. Visit our website to read Frieda’s story of rescue.